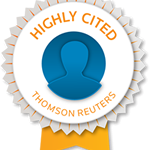 We are delighted to announce that Hojjat Adeli, founder and Editor-in-Chief of Integrated Computer-Aided Engineering, has been recognized as a 2015 Thomson Reuters Highly Cited Researcher. 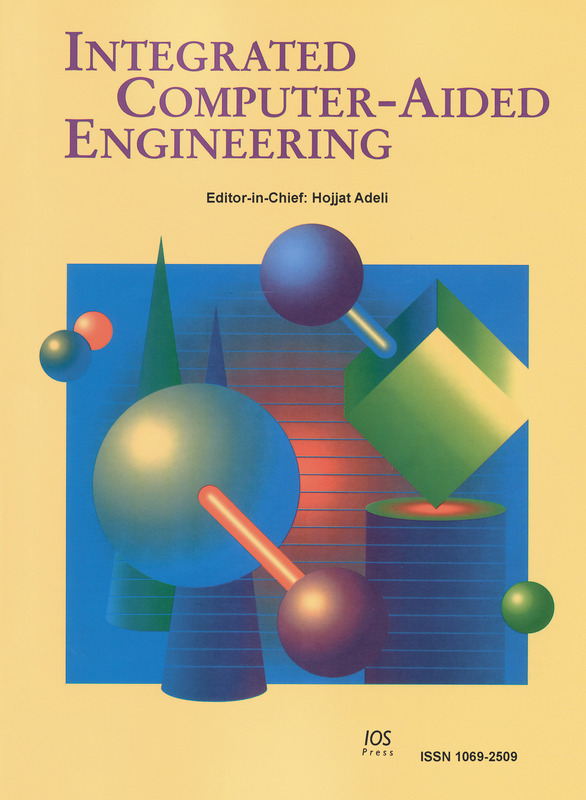 Integrated Computer-Aided Engineering (ICAE) was founded in 1993. "Based on the premise that interdisciplinary thinking and synergistic collaboration of disciplines can solve complex problems, open new frontiers, and lead to true innovations and breakthroughs, the cornerstone of industrial competitiveness and advancement of the society" as noted in the inaugural issue of the journal. Hojjat Adeli is Professor of Biomedical Engineering, Biomedical Informatics, Civil, Environmental, and Geodetic Engineering, Electrical and Computer Engineering, Neurology, and Neuroscience at The Ohio State University. He has authored over 550 scientific publications including 15 books since he received his Ph.D. from Stanford University in 1976 at the age of 26. He has presented Keynote/Plenary Lectures at 101 research conferences held in 43 different countries. In 1998 he received the University Distinguished Scholar Award from The Ohio State University “in recognition of extraordinary accomplishment in research and scholarship”. In 2007 he received the Peter L. and Clara M. Scott Award for Excellence in Engineering and Charles E. MacQuigg Outstanding Teaching Award from OSU. Among his numerous awards include a Special Medal in Recognition of Outstanding Contribution to the Development of Computational Intelligence from The Polish Neural Network Society, Eduardo Renato Caianiello Award for Excellence in Scientific Research from Italian Society of Neural Networks, an Honorary Doctorate from Vilnius Gediminas Technical University, Lithuania, and membership in the Spanish Royal Engineering Society. He is a Thomson Reuters Highly Cited Researcher in two categories of Engineering and Computer Science. In 2010, he was profiled as Engineering Legend in ASCE journal of Leadership and Management in Engineering. He is a Distinguished Member of ASCE, and a Fellow of AAAS, IEEE, AIMBE, and the American Neurological Association. M. Gini, University of Minnesota, Minneapolis, MN, USA. 1) A statement that this manuscript is your “original unpublished work and the manuscript or any variation of it has not been submitted to another publication previously.” This journal does not consider papers rejected by other journals. You may request an exception to this policy but must submit ALL the correspondence and reviews received from the journal that rejected your paper. 2) The pdf file of your paper prepared in double-column according to the attached journal template. This will be used to determine the length of your paper in terms of the journal pages. 3) Editable Word or Latex files of your paper prepared in double-column according to journal template. 4) The names, affiliations, h-index from either Web of Science or Google Scholar Citations, and full contact information including email addresses of six to ten leading researchers as determined by publication of important journal articles in the subject area of the paper outside of your circle/region as a Word file. They should not be your advisor, advisee, research sponsor, or research collaborator. They can include senior researchers cited in your paper (List A). 5) Who are the top 10 researchers in the world in the subject of the paper as determined by publication of impactful journal articles in the subject area of the paper? Please provide their name, affiliation, email address, and h-index from either Web of Science or Google Scholar Citations as a Word file (List B). This will indicate whether the authors are familiar with the latest development in the field and their paper extends the state-of-the-art. 6) The attached Conscientious Reviewer form for each author (except students) as a Word file. Journal contributors commit to provide detailed reviews for papers submitted to the journal as the journal reviewers are often chosen among contributors to the journal. This is how thoughtful and detailed reviews are obtained in a timely fashion. Manuscripts must be written in English. Authors whose native language is not English are recommended to seek the advice of a native English speaker, if possible, before submitting their manuscripts. You can also visit Peerwith, which offers a language and copy editing service to all scientists who want to publish their manuscript in scientific peer-reviewed periodicals and books. It is possible to have figures printed in colour, provided the cost of their reproduction is paid for by the author. The charges will be specified with the proof delivery. Online the figures will be published in full color at no charge. Rose ME, Huerbin MB, Melick J, Marion DW, Palmer AM, Schiding JK, et al. Regulation of interstitial excitatory amino acid concentrations after cortical contusion injury. Brain Res. 2002; 935(12): 406-416. Meltzer PS, Kallioniemi A, Trent JM. Chromosome alterations in human solid tumors. In: Vogelstein B, Kinzler KW, editors. The genetic basis of human cancer. New York: McGrawHill; 2002. p. 93113-93119. Authors have the option to make their article freely available on the Publisher's journal platform. For a charge of 1250 USD / 900 € your article (including pre-publication) will be freely accessible immediately upon publication. A form to request Open Access will be supplied to the author when the accepted manuscript has been received by the publisher. An order form for reprints, additional journal copies or a pdf file will be provided along with the pdf proof.